Thank you to all the parents who came in to share our pride in the children's Arts Award creations. We have a very positive relationship with the local police and PCSOs. They are coming into school to work with our children about various topical issues including hate crime. As part of our Arts Award, we visited the Royal West of England Art Gallery (RWA) on 5th February. We learnt about lots of different artists, and observed their work, supporting Section B in our arts log. We enjoyed travelling by bus too! So at 6.45am this morning, Mr Mac and Mr Thomas trudged their way to school, to find a carpet of snow over everything. Have a safe and happy snow day at home everyone! We were delighted to be joined by children from other local schools on Tuesday 22nd January in a collaborative event focused on local history and geography. The children all worked together researching and creating a large scale map of the local area, pinpointing key landmarks and the children’s home addresses. It was a very successful and enjoyable event! Welcome to Bristol- our library has been transformed! On the 13th day of December, Chester Park Junior School brought to me, 6 kilos of Brussels Sprouts and a school dressed in Christmas Crowns and jumpers! Children had a fantastic time at the Bristol BMX Club- this is the only track of this size- the Regional Standard Size. The project is run by the charity Access Sport. Many thanks to them for the incredible opportunity! Forest School has taught us all sorts of new skills . This week we made a fire! It was a very proud moment when representatives of Chester Park Junior School received the award for Primary school winner of the Modeshift Travel award for Bristol today, on the SS Great Britain. What a fabulous opportunity the children ( and adults!) had to have a go at the climbing wall this week. Thank you for organising this Miss Sherman. Thank you so much to everyone, parents and children for supporting Children in Need today. Well done to the School Council organising the cake sale and wrist bands! Thank you to all the parents and carers who came in today to share each year group's celebrations of Black History Month. Thank you to all the children, parents and carers who donated to the Julian Trust homeless shelter, for Harvest. The School Council worked hard coordinating this- well done! Thank you to all the parents and carers who came into school to share in our Comicon Day- it was such a success! BMX time at Chester Park Junior School! 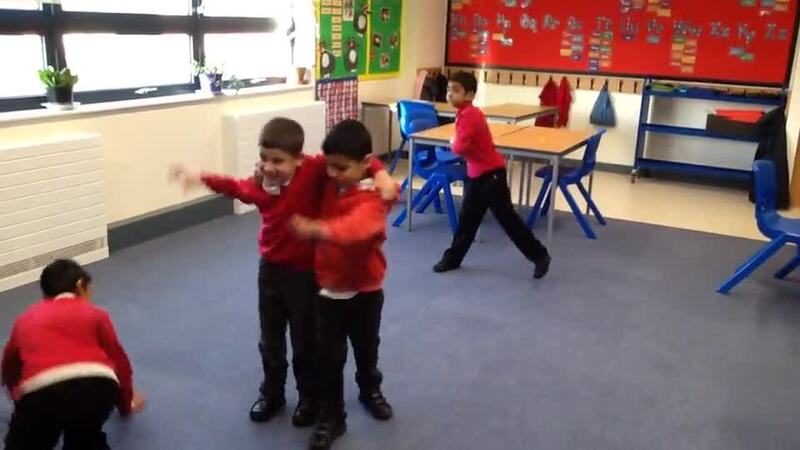 Everyone loves the new Golden time activities- have a look! At last today the children were allowed on the grass! Ashton Gate Tournament- won one, lost one, drew one! What a fantastic trip to the RWA Gallery today! Congratulations to our football team who won the football tournament at Whitehall playing fields today- next stop - Ashton Gate! At last the rain held off and our road was closed for Stay and Play! Raising funds for Sport Relief, children wore non uniform or sports gear into school today. I wonder how much the School Council raised? World Book Day and snow today...how much better can it get? Our football team played well against Minerva today, and won 4-2, well done! Chester Park Christmas Musical was a great success! Well done to all those involved,and thank you to all you parents, carers and friends who supported us ! Oak Class have loved reading the Mousehole Cat, and today they made fishes for the Stargazy Pie! The highly coveted Arts Awards were given out in assembly today. Well done for the hard work and creativity everyone put in! It was such an honour being nominated for the regional Modeshift travel award in Swindon. We all had such a great day! 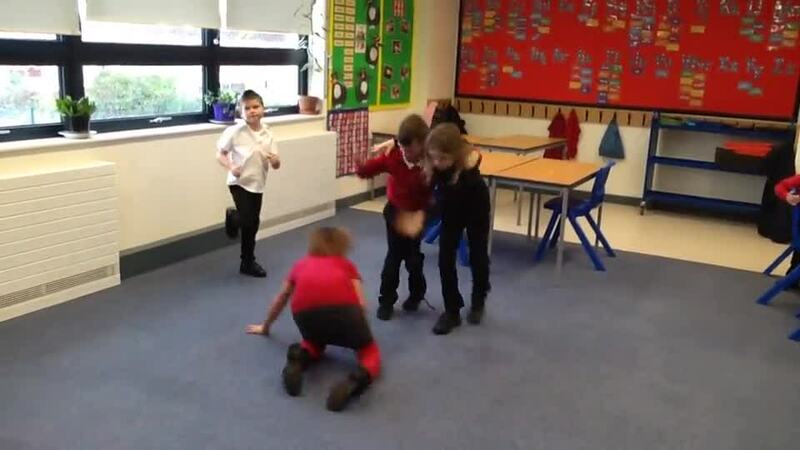 In Oak class we have been making 1 minute films based on the story 'The Mousehole Cat' . In the films the Storm Cat is threatening to sink the fishing boat with Mowser and Old Tom on board. Will she succeed and send them both to a watery grave or will Mowser calm her enough for them to make it back to the harbour? Old Tom the fisherman who lives with Mowser. The Storm Cat who hunts for men on the opens seas. It's only 8.50am but there's already lots going on for Children in Need! Pupils really enjoyed workshops today, learning about the importance of being bright and seen on the roads now the days are shorter and darker. Children and staff have been buying poppies all week. Black History Month was a resounding success! Each year group shared their new learning about African kingdoms with the whole school! Children from year 6 picked up three bulging bags of litter from the streets around school today! Impressively representing our school at the Redmaid's Maths challenge on Tuesday 3rd October, the children commented: "It was fun and we saw people from other schools! It was a fun way of doing maths"..."I really liked it, it was a fun challenge and I liked representing my school!" Well done to you all! Local Member of Parliament Kerry McCarthy came in to talk to the children today. Look at the fun the children are having on our new trim trail, thank you to the Friends for helping to pay for this! Many thanks to Mrs Ellis for organising the first ever Scootability training course, helping to keep our children safe on the roads. The School Council did an incredible job raising awareness of the Julian Trust nightshelter, and collecting food for them as part of our Harvest celebration. What a surprise everyone had when Strider came into school to encourage everyone to walk to school! Thank you so very much to the Friends of Chester Park Junior School, especially Sue King, for organising such a successful and entertaining School Fayre. This looks like the most profitable one ever! This trip was amazing ! We went to Spike Island and met an artist called Kit. He showed us around the UWE section. We saw lots of different art work. Everything was fascinating. We made art work there as well! We really enjoyed the trip and once we had finished doing our art work we went round and looked at the UWE work. The sun came out so the children built a den at lunchtime! Children used gloves to create different emotions! The School Council did a tremendous job promoting Red Nose Day today. We are incredibly proud of having raised £212.17 in addition to selling £120 worth of red noses! As the Wicked Witch of the West held on to her hat, the rest of the school enjoyed DEAR three times for World Book Day- "Drop Everything And Read." You can find Magic wherever you Look sit back and relax, all you need is a book"
Dr Seuss wrote about the magic of books and today in school we are having a very special World Book Day! Here are some of the year 3 children and staff dressed as characters from their class text, "The Wizard of Oz"
On Monday 6th February the British Transport Police kindly came in and security marked lots of the children's and staff's bikes and scooters. The Governors went to visit the new school this week...not long to go now! 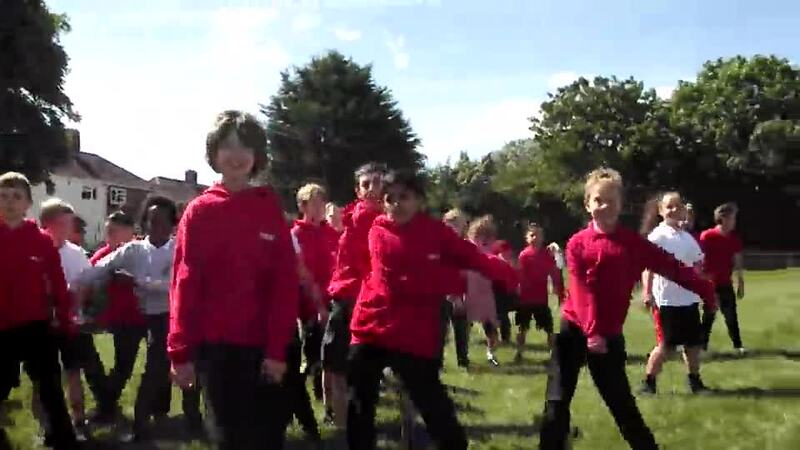 Dance Club have started the New Year with lots of new members. 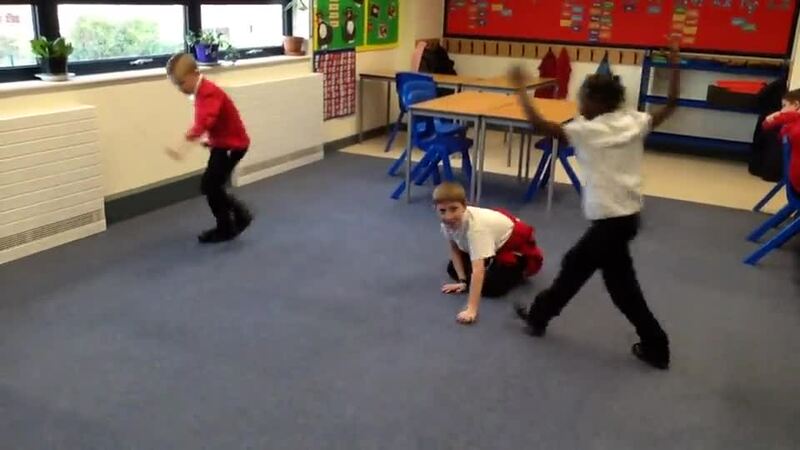 We have already been learning lots of new moves. Want to get involved? Just ask Mrs Evans! Today the Bike Reps had a real challenge judging the contestants for "Bling your Bike for Christmas"! Well done to the year group winners, Molly, Summer, Abigail and Arthur. The standard was spectacularly high, well done to all 64 of you who took part! Last year, pupils were offered the chance to achieve an Explore Arts Award, a national qualification recognised by the Arts Council England. The Award was a brilliant chance for students to develop their creative arts skills alongside vital life skills such as self-confidence, communication and leadership, whilst taking part in a fun,creative project. Throughout the project students took part in arts activities and developed new skills, attended and reviewed arts events, researched artists who inspire them and developed their communication and leadership skills by passing on their art skills to other people. Thank you to the Friends Of Chester Park Junior School for organizing such a fabulously festive singalong for all the parents carers and children. It was great to see everyone's Christmas jumpers and hats! Elise and the other children in Needlecraft club made fantastic reindeer this term. Last year, pupils were offered the chance to achieve an Explore Arts Award, a national qualification recognised by the Arts Council England. The Award was a brilliant chance for students to develop their creative arts skills alongside vital life skills such as self-confidence, communication and leadership, whilst taking part in a fun, creative project. We are very proud to share the successes of Rhiannon, Lily, Manaal, Esmé, Megan, Alice, Cerys and Molly who, through their hard work, have all passed this award. Details of the next Arts Award have been shared with the whole school in assembly. If your child is interested in taking part in Arts Award next year they are to write a quick letter to Miss Curry explaining what they enjoy about the arts and why they want to take part. Letters must be handed in by Thursday 8th December. A limited number of spaces are available. The Gardening Club harvested a bumper crop of Little Gem lettuces today- don't they look delicious? Well done to the School Council for organizing such a great fundraising day today! Children and the whole staff respectfully stopped for 2 minute silence today, reflecting on Armistice Day. Tim Smith came in from Skanska on Thursday to talk to the children about safety at the new school site. The children all loved trying on the safety equipment, and are so excited to see their new classes! The School Council worked so hard organising Harvest and the collection for the Julian Trust Night Shelter in Bristol.Thank you everyone who contributed. This year it is 100 years since Roald Dahl was born. Last week Mrs Evans held an assembly telling us all about the life of Roald Dahl which was fascinating. We had a competition to see who was the favourite character from his books in our school. We were overwhelmed with the quantity of entries – clearly showing what a popular author Roald Dahl is. The overwhelming winner was the BFG. Runners up were Akesh (Year 3), Jamie (Year 5) and Esme (Year 6) who each won a book of their choice. The overall winner was Sian in Year 4 for her drawings and description of the Grand-High Witch from ‘The Witches’. She was the happy recipient of a £10 book voucher. Well done to all those who entered – it was very tough to judge them all! Such an exciting start to term 1, including Bike checks in the sunshine today as part of our ongoing Bikeability training. The term has started with the children carefully voting for their class School Council and Eco Representatives, I wonder who will win? There was a record turn out for the Friends' Fish and Chip Quiz night on Friday. Thank you to Mr Mac for setting all of the questions and to the Friends for organising such an enjoyable event! Bring on the Hula Hoopers! Children throughout the school took part in Road Safety Week last week in a variety of ways! The local PCSOs came in today, leading an assembly on Fireworks and staying safe. Saying "Thank You" and "Taking Responsibility" was the theme of this year's Harvest celebration in school today. Thank you to all those families who generously gave food items for the Julian Trust for homeless people. Thank you too to the School Council members, who took responsibility for organising this hugely successful collection for those less fortunate than themselves. Ryan in year 3 healthily rode his bike to school today,along with lots of other children. He knew there was a "Bike It" breakfast waiting, but what he didn't know was that every child who attended was entered into a raffle, and Ryan won a super new bike lock!